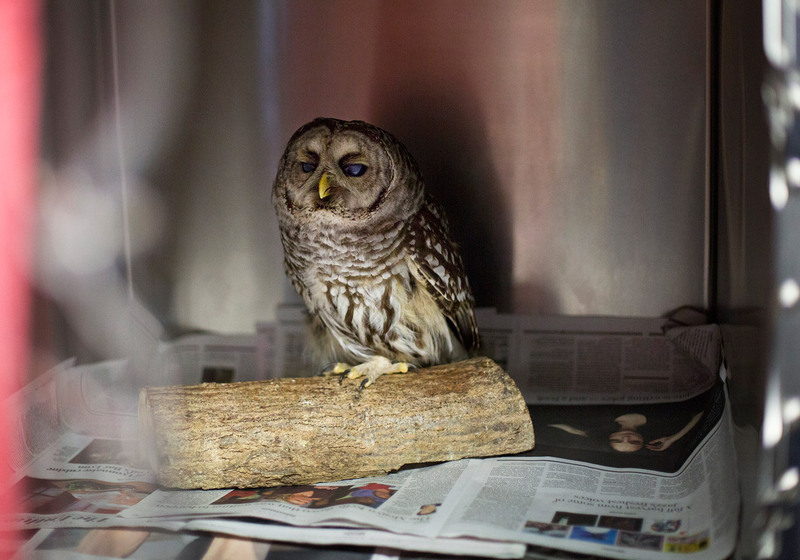 A barred owl perches in an enclosure last week at the Center for Wildlife in York, where it is recovering from an eye injury. 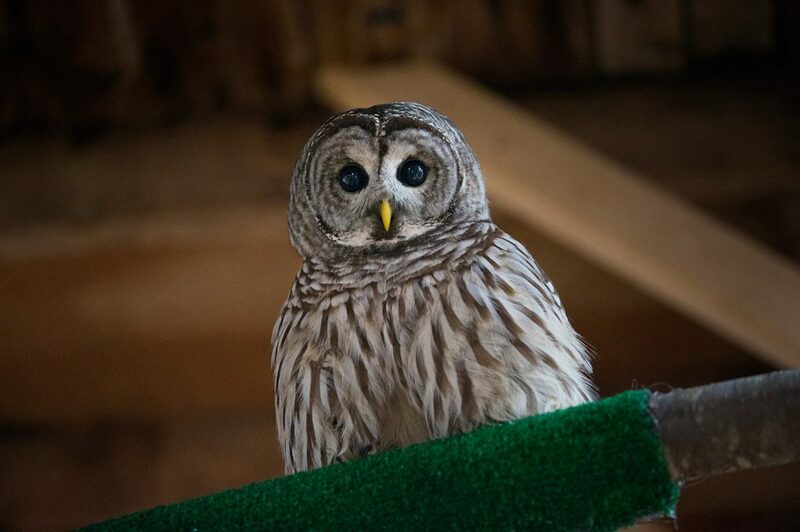 Barred owls are one of the most common owls in Maine. A barred owl adjusts to its new cage after being moved at the Center for Wildlife in Cape Neddick, where it is recovering from an eye injury that most likely occurred when it was hit by a motor vehicle. 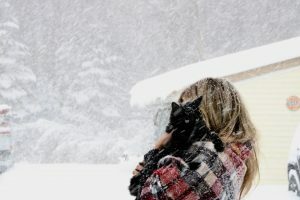 Erynn Call, the state’s raptor biologist, said bard owls hunt for prey in roadways in the winter, making them vulnerable to car strikes. 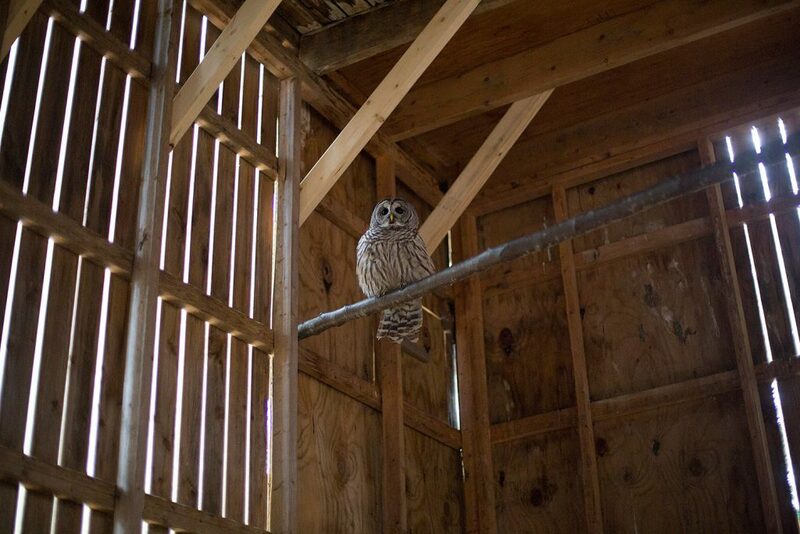 A barred owl perches in an enclosure at Center for Wildlife in Cape York, where it is recovering from an eye injury. 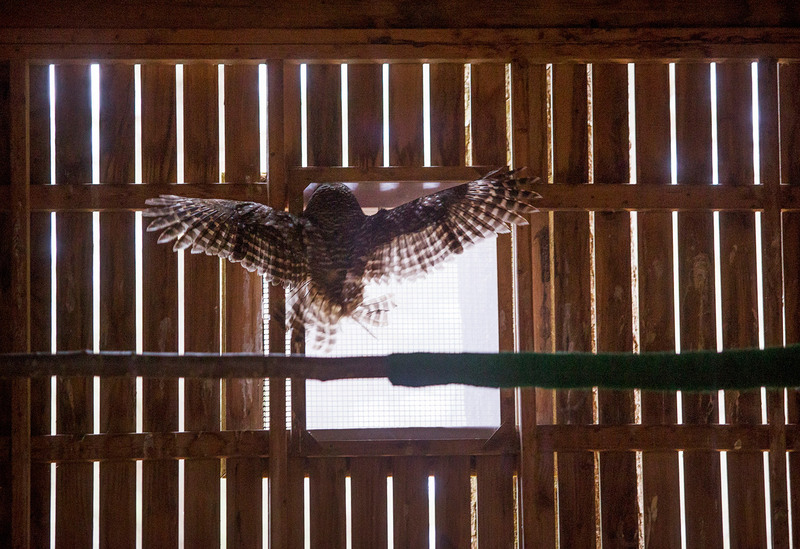 The Center for Wildlife and other wildlife rehabilitation centers in New England have seen an increase in injured owls this fall.